As I was standing in line for a dressing room during a very hectic and crowded Black Friday a woman standing behind me tapped me on the shoulder and asked where I had purchased my nail polish. I realized that I had received it as a gift last Christmas, so I told her that although she may not be able to find this specific color I was sure there were several like it out there. My Black Friday extravaganza only confirmed the fact that the Holiday season is in fact in full swing. As fashion and beauty lovers that means we also need to stay on top of the season’s most recent trends. We’ve covered everything from fall shoe trends, to holiday party dresses, but one things we haven’t covered is holiday nail trends. 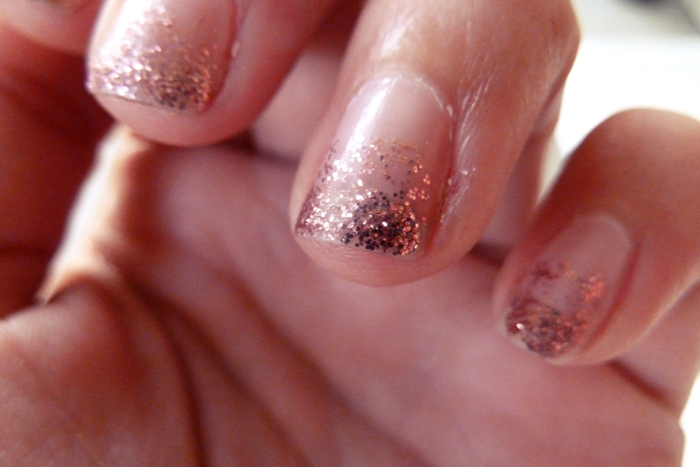 There is currently a whole lot going on in nail trends, so I’ll start with what I am wearing right now. 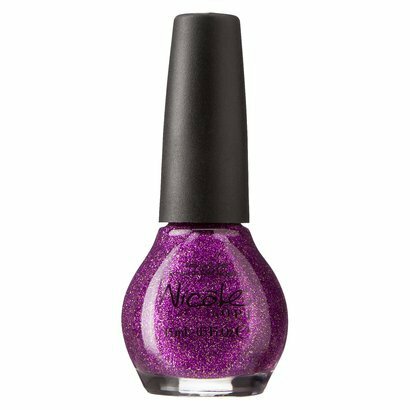 Nicole by OPI touts itself as “the ultimate trendsetter’s lacquer.” On Friday I was wearing their ‘My Sleigh’s in the Shop’ a glittery fuchsia shade. The color is very bright and obviously eye-catching, I think it is the perfect way to get into the Holiday spirit. If you are not so much into the bright glitter trend try this less shiny, but just as festive look. Paint nails with a winter neutral shade by Zoya, the whole lines is really great but I would choose Avery, a blonde-beige cream for this look. 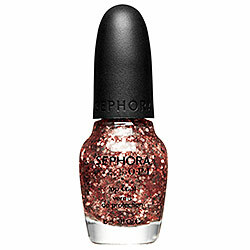 Then take a copper glitter topcoat like OPI ‘Traffic Stopper Copper’ and apply one stroke starting at the middle of the nail. 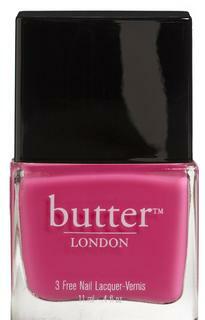 Then apply a few more coats to the tips of the nail—making sure that you don’t make it too thick. Now you have mastered the ombré nail. As we know deep shades like wine and navy are in this season, but don’t forget teal too. 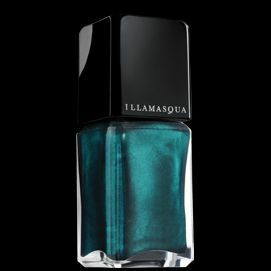 This rich nail varnish from Illamasqua is a peacock green with a metallic finish. It will look extra chic with any holiday party dress. 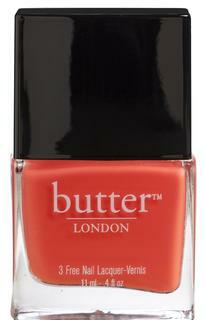 Believe it or not bold colors like Butter London’s ‘Primrose Hill Picnic’ a tropical fuchsia pink, and ‘Jaffa’ a potent orange colour are also appropriate this winter. Plus it will be nice to have fun colors like these on hand as we go into spring. Now that you are up to date on the latest nail trends give them a try and tell us what you think!